"The 2019 Stage 1 Mustang combines Ford’s newest technology and R8 aero styling." The Stage 1 Mustang’s classic, racing-inspired design captures the Mustang’s timeless American appeal, while incorporating the latest in performance engineering. The ROUSH R8 aero package is designed with maximum airflow and downforce in mind. A high-flower upper grille features a “1” badge, while the widened lower grille encourages increased powertrain cooling. 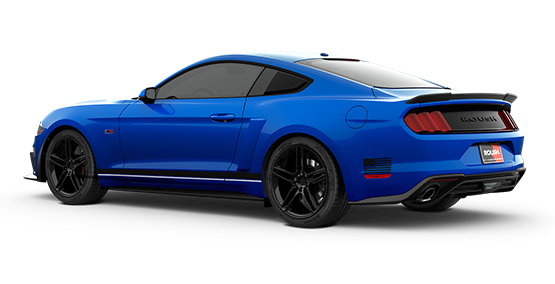 The Stage 1 Mustang graphics package comes standard in a variety of color choices. Optional additional graphics provide a customized design touch. Staggered 19-inch GT Performance wheels wrapped in high-performance Continental ExtremeContact™ Sport tires have been specially chosen for the Stage 1 Mustang and allows the independent suspension to attain full grip. Additional suspension and wheel upgrade options available. At ROUSH Performance, it's not enough to deliver heart-pounding performance, unparalleled refinement, and race-inspired styling. 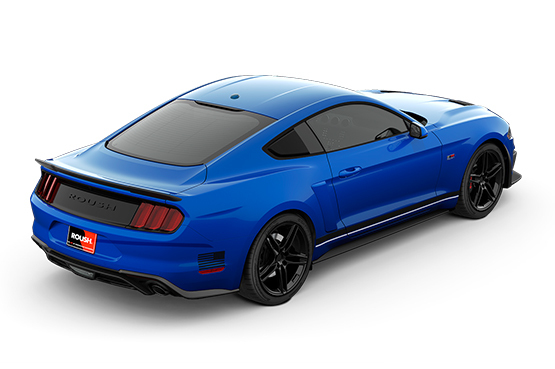 We take a step further and back-up the 2019 ROUSH Stage 1 Mustang with an industry-leading 3-year, 36,000-mile limited warranty to show you that we are with you on this ride.